Daito-ryu Aikijujutsu is a traditional Japanese martial art transmitted for generations within the Takeda family of the Aizu domain, and disclosed to the general public by Takeda Sokaku starting around the end of the 19th century. The main line of this tradition was inherited by Takeda Sokaku's son, Takeda Tokimune, who then passed it on to Kondo Katsuyuki. 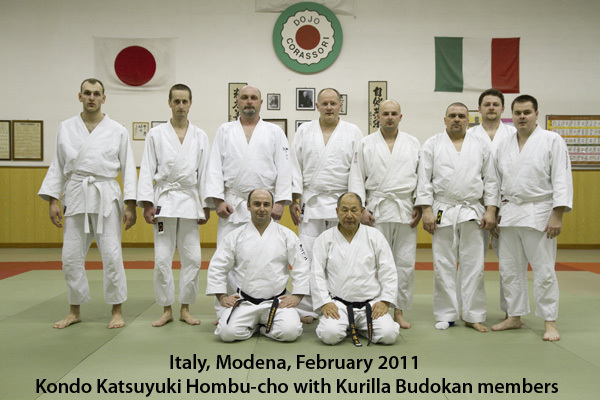 Kondo Katsuyuki is the only individual to have received the menkyo kaiden (license of full transmission) from Takeda Tokimune, and as such continues as the leader of the Daito-ryu Aikijujutsu tradition today. Daito-ryu Aikijujutsu is a form of jujutsu, a system of unarmed fighting and minor weapons techniques to defeat both armed and unarmed opponents. It is noted, as the name suggests, for emphasizing the principles of aiki (some aspects of aiki are also referred to as kuzushi). The Daito-ryu technical tradition includes both jujutsu and aikijujutsu, but a clear distinction is made between the two and the emphasis is strongly on the latter. From ancient times the admonishment to "attack where the opponent has been unbalanced" has been a fundamental axiom of Asian martial arts. In Daito-ryu, the principle of "how to unbalance the opponent" is referred to as aiki, and a great many of the tradition's oral transmissions and secret teachings pertain to the various aspects of aiki. Today, Daito-ryu Aikijujutsu is a cultural heritage of the Japanese warrior class with a long history and tradition. It was developed as a means of self-defense against unprovoked violence, with the ultimate aim of neutralizing violence, not causing it. This is one of the reasons why Daito-ryu relies on using forms (kata) to train in the art, but does not include any kind of competitive matches. Further, as a classical Japanese martial art, Daito-ryu goes beyond mere self-defense, offering the way to temper one's body and spirit, with the aim of developing personal character and contributing to the greater social good. 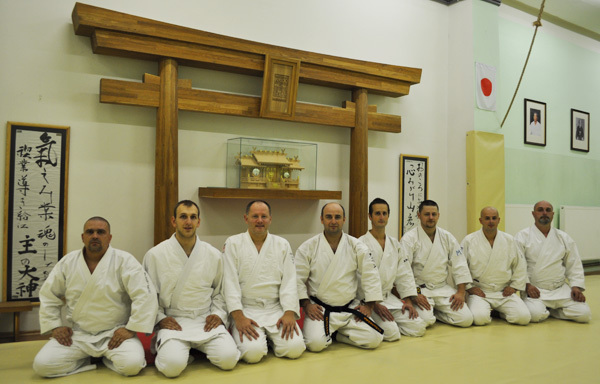 Daito-ryu Aikijujutsu holds the regular membership in the Association of Japanese Traditional Martial Arts (Nihon Kobudo Kyokai) and the Association for the Promotion of Japanese Traditional Martial Arts (Nihon Kobudo Shinkokai). Each year the leaders and representatives of the school participate in Japan's premier martial arts demonstrations, held at the Nippon Budokan, Asakusa Riverside Sports Center, Meiji Shrine, Itsukushima Shrine, and other locations throughout Japan.